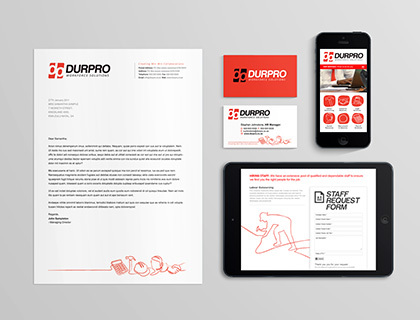 Branding: Logo to Website. 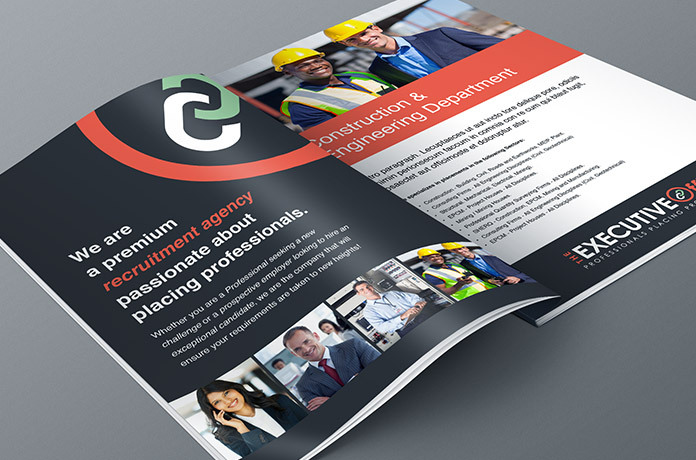 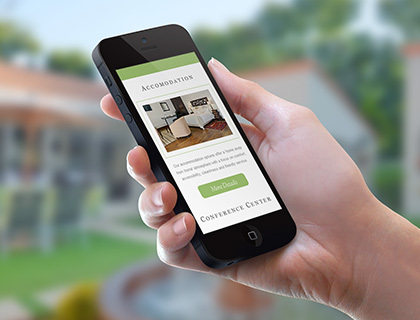 This project entailed a custom back-end content management system, developed by Pieter Germishuys. 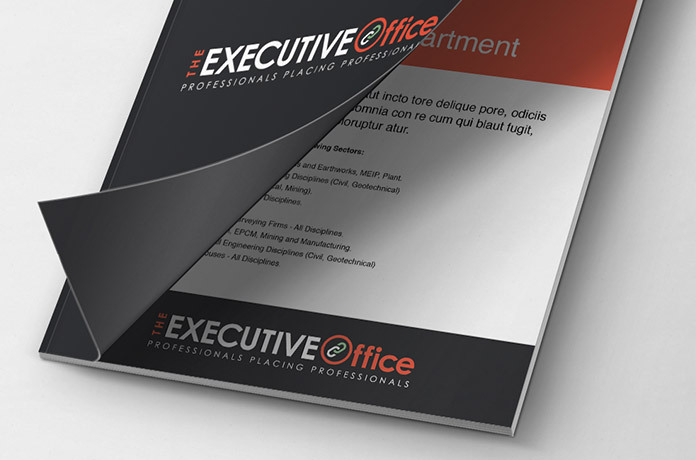 Audience: Professionals, qualified for executive jobs in various industries. 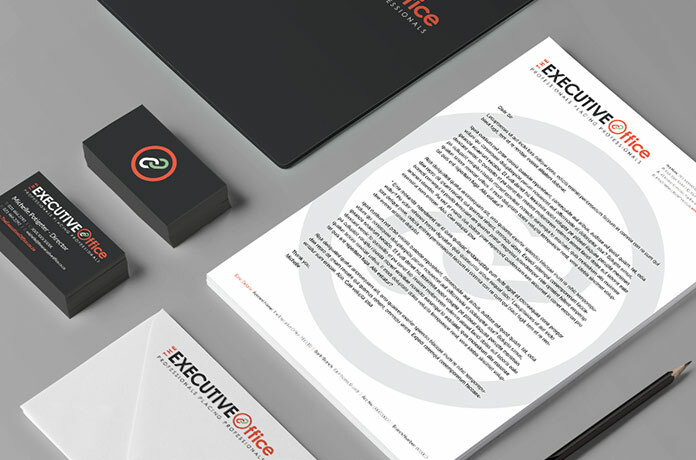 Elements: Logo, Business Cards. 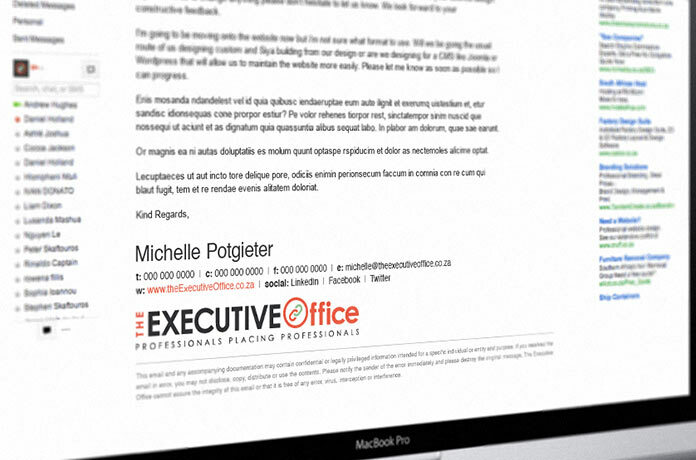 Email Signature, Editable Brochure (Microsoft Word), Letterhead, Email Template, Facebook & Twitter design & setup. 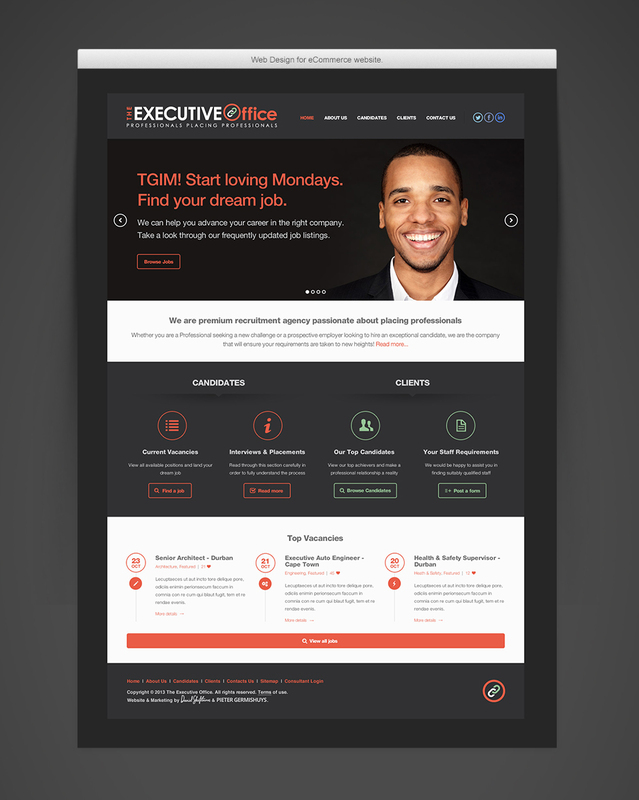 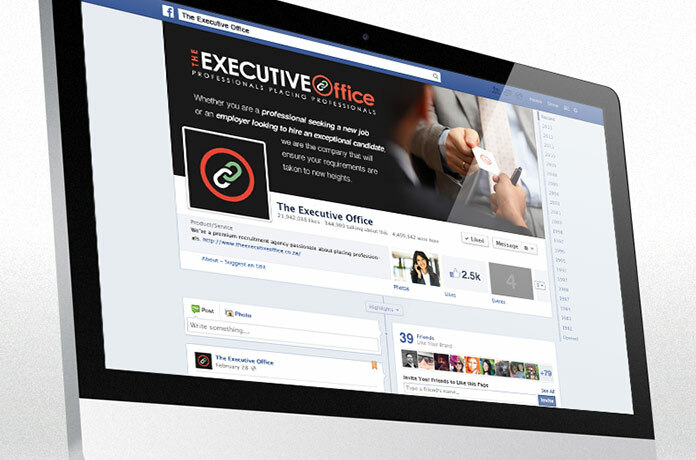 The website for The Executive Office functions as the core engine of the business. 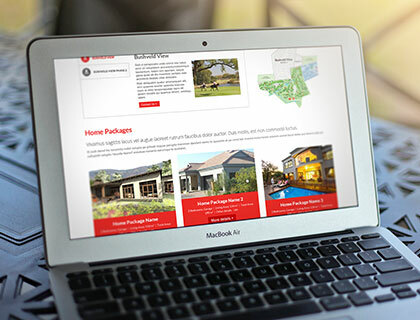 Almost all conversions will come directly from the site. 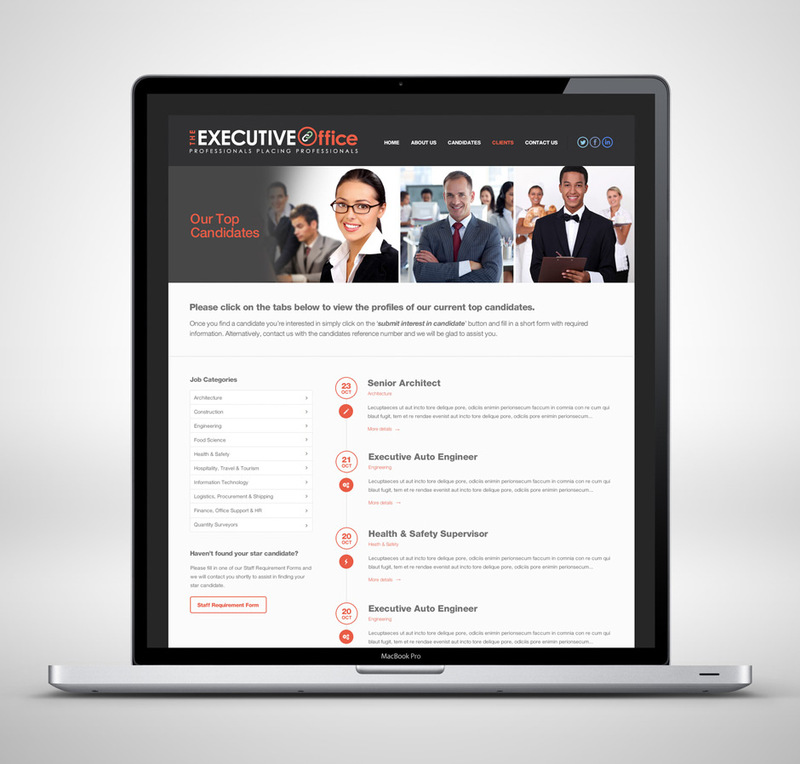 It features a custom built back-end user management system, for simple management of job and candidate listings. 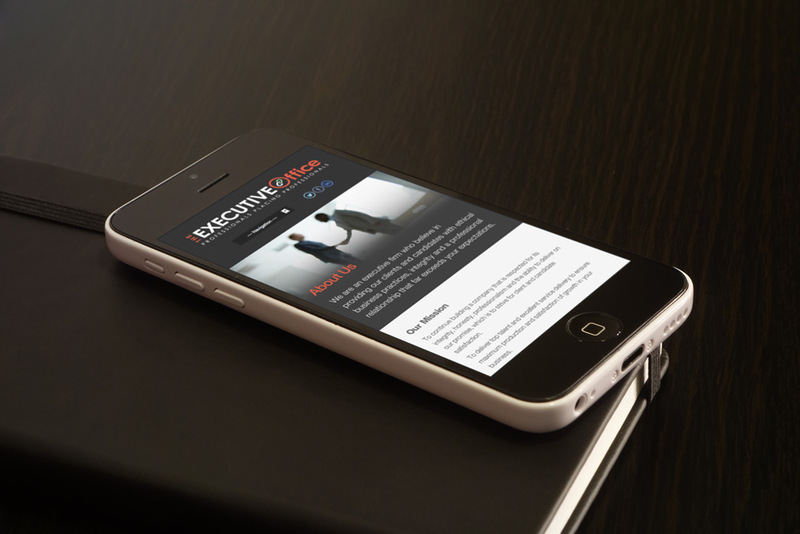 The website is optimised for quality user experience on Mobile and Tablet devices. 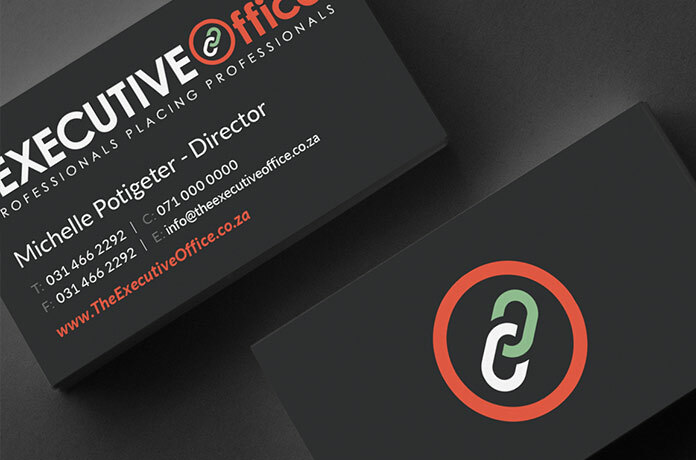 The website was developed by the very talented and super-nice-guy Pieter Germishuys. 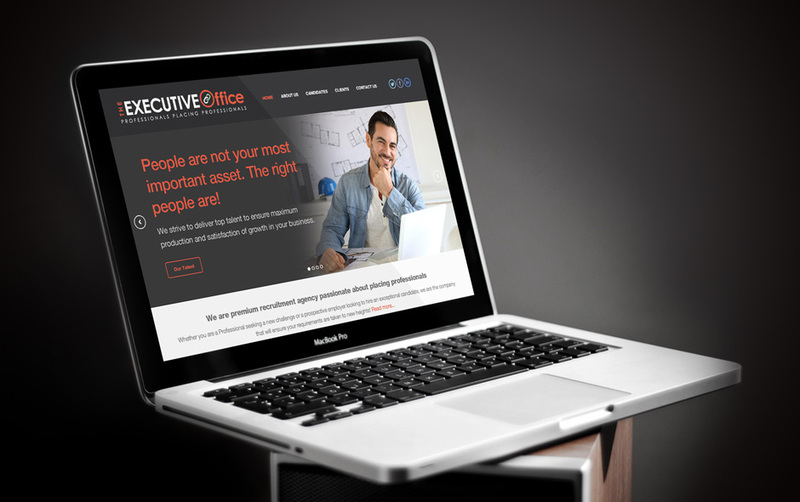 Responsive, Dynamic, Custom CMS (Content Management System).